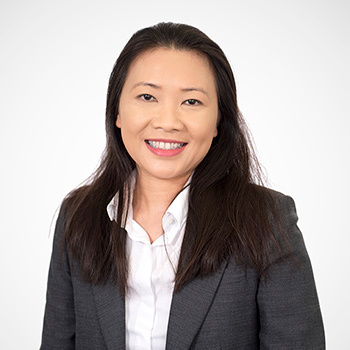 A 1997 graduate of Adelaide University, Van has been practicing in Western Australia and Canberra since earning her Bachelor of Dental Surgery. In 2004, she opened Gungahlin Marketplace Dental Surgery in Gungahlin Shopping Centre, then relocated to the Aldi building and renaming the practice Amalgam-free Dental Care. A skillful dentist, Van’s patients find her gentle, caring and trustworthy, building successful rapports with many people in our community. You can expect comfort and efficiently managed time during Van’s dental care, along with honest, frank discussions of your treatment planning options. Her main focus in providing care is Trust, Caring, Respect. She has extensive knowledge in extractions, including surgical ones, and she has capabilities that other dentists may not. In the case of an emergency, she aims to be available whenever possible to effectively address your problems. She also has a strong interest in root canal therapy and cosmetic/restorative dentistry. Outside of work, Van loves to cook, go to movies and spend time with her children. To schedule your appointment, contact Shine Dentists today! Same-day and weekend appointments are available.